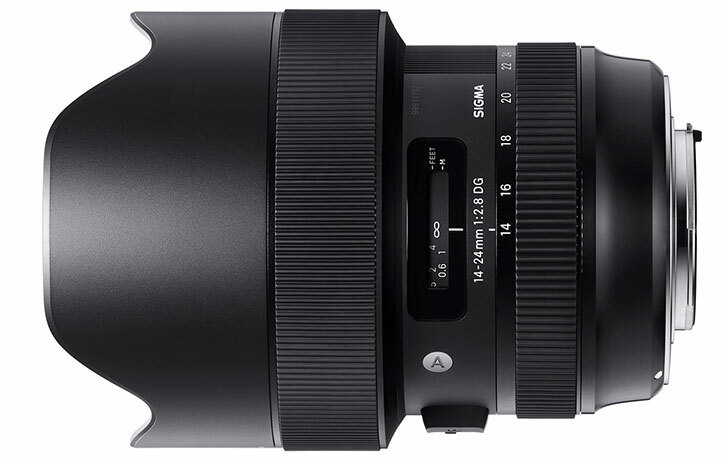 Hot Deal: Sigma 14-24mm f/2.8 DG HSM Art Lens +USB Dock for $1,099! Super Hot Deal!!! Today, Adorama has a great deal on the new Sigma 14-24mm F2.8 DG Art lens with Sigma USB DOCK for only $1,099! This is $200 cheaper than regular, available for Canon EF,and Nikon F. Just for today only! 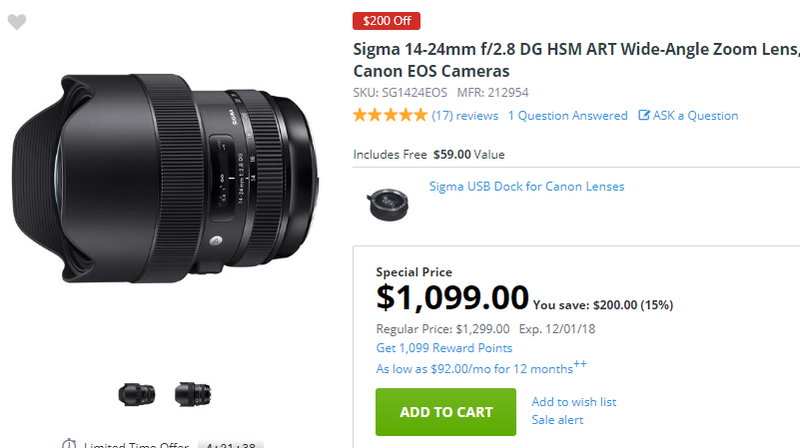 This entry was posted in Hot deals, Sigma Lens and tagged Sigma 14-24mm F2.8 DG Art lens, Sigma lens deals on December 2, 2018 by admin.